Viewing Tip: To see a closeup of each cabinet, click on the individual items on the order pages. This collection “draws it’s inspiration from early American antiques that are clean in design and very purposeful in function. Each piece is crafted in the tradition of fine furniture and finished with a multi-step, hand detailed finish that brings out the beauty of the select hardwood solids and veneers.” You can rest assured you are getting the character of antique style furniture with all the modern day conveniences. The sleek, straight lines of the cabinetry are beautifully complemented by the rich wood finish, creating a modern kitchen without sacrificing warmth and comfort. The elegant color and design of the Lexington Collection allows it to slip effortlessly into a variety of color palettes and design styles. Yellow, off-white and cream hues are natural complements that bring out the richness and warm elegance of these cabinets. Accents in pale greens and blues will add brightness without sacrificing the cozy ambiance. Darker colors, like deep greens and reds, will steer the style in a more formal direction. If you prefer to take your style in a more contemporary direction, play up with straight lines and simplicity of the cabinets with sleek, stainless steel countertops, appliances, and fixtures. For a more classic, traditional look, consider granite or butcher block countertops and wrought iron accent pieces. In addition to plenty of storage space, the Lexington Collection cabinets also feature inset doors and drawers. Soft-closing door mechanisms and solid wood drawers are standard on this cabinet line, and it also features a wide range of accessories and add-ons that truly make your kitchen your own. Glass front cabinet doors, pocket drawers, wine bottle racks and plate holders are great additions. For convenience and functionality, consider opting for premium self-closing drawer slides, dove-tailed drawer box construction, and roll-out trays. And don’t worry, you won’t be giving up quality construction for aesthetic appeal. 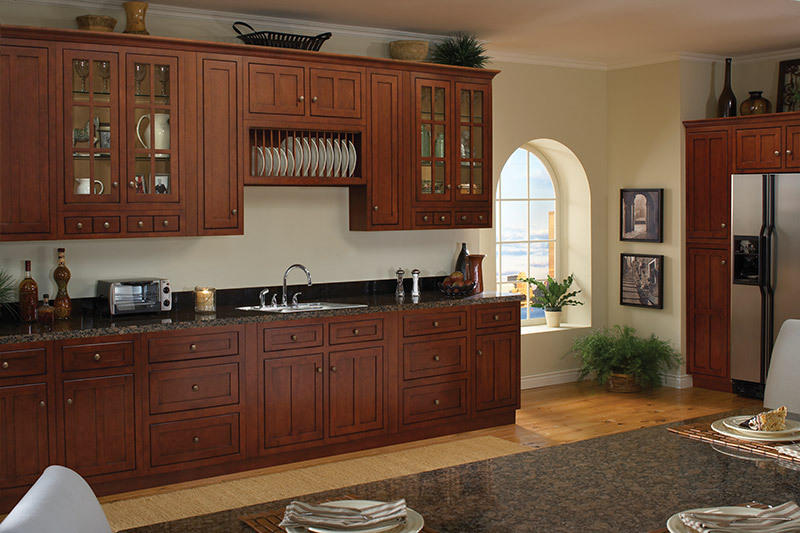 These cabinets are built solidly for durability and stability. 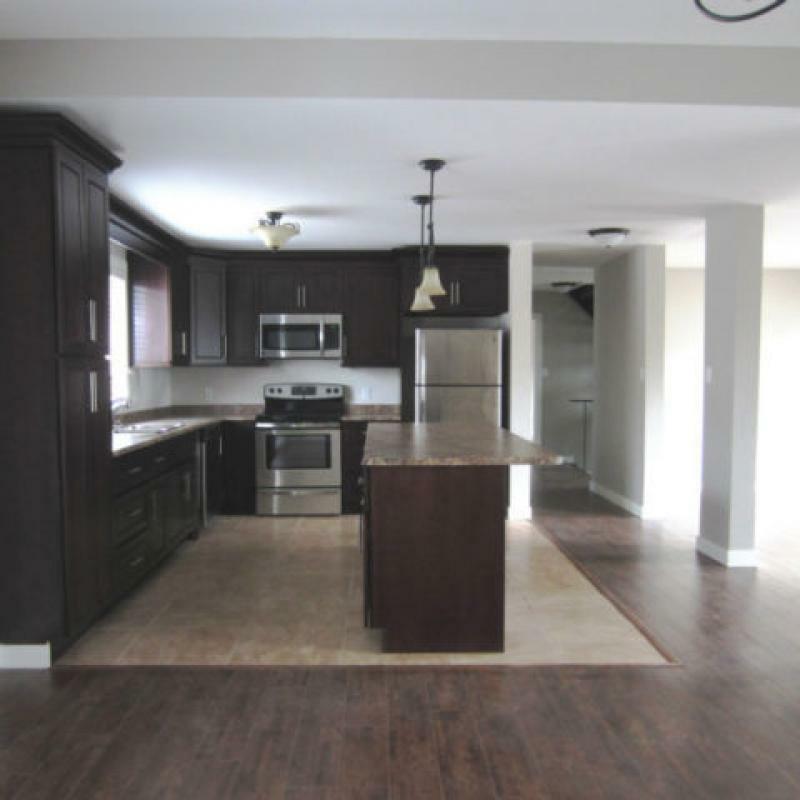 You can be assured you are getting quality cabinetry that will last for years to come. The Lexington Collection is that perfect balance between traditional and contemporary that you have been searching for. A design inspired by historical American style is coupled with a warm, rich tone and modern day chicness, so you get the best of both worlds. With this versatile and durable collection, both style and craftsmanship will stand the test of time.